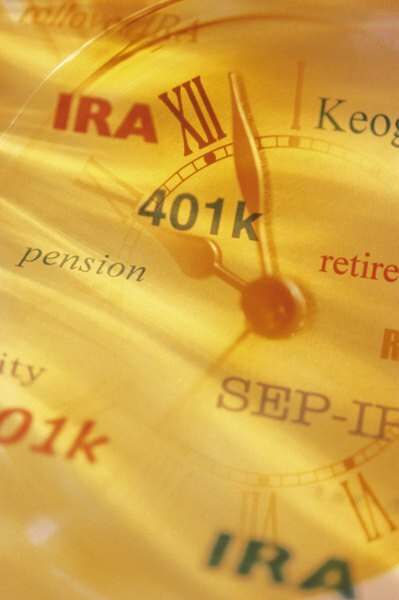 Creating effective IRA withdrawal strategies can help preserve your net worth. Most people who fund individual retirement accounts decide to take withdrawals at some point -- usually as part of a retirement strategy -- but they also want to avoid depleting the accounts. Planning for retirement requires knowing how and when to withdraw your money. Formulating effective withdrawal strategies gives you the best chance of your nest egg lasting throughout your retirement. The Internal Revenue Service requires owners of traditional IRAs to take required minimum distributions starting at age 70½. You must calculate required minimum distributions according to IRA guidelines based on your life expectancy. If you plan to use your retirement distributions to pay for living expenses, managing your funds is important. According to Fidelity Investments, one way to accomplish this is to send your distributions directly to a cash management account that gives you access to automated teller machines, the ability to write checks and online bill paying services. Another strategy is to purchase an annuity, which provides you with guaranteed payments throughout your lifetime. If you do not need your withdrawals to pay for your living expenses, consider reinvesting your minimum required distributions. Reinvesting your distributions in tax-efficient financial securities helps minimize your tax liability. Investments to consider include municipal bonds, variable annuities, exchange traded funds and dividend-paying stocks you plan to holder longer than one year. If you want to pay a family member’s education costs, you can deposit your distributions into a tax-efficient 529 plan. If you own a traditional IRA and expect your tax rate to remain the same or to increase in retirement, a Roth IRA conversion is a withdrawal strategy to consider. You are not required to pay income tax on qualified withdrawals from a Roth IRA after age 59½. Although you must pay tax on the distribution you take from your traditional IRA to make the Roth IRA conversion, you can save more money if you perform the Roth conversion when your tax rates are low. The stretch IRA strategy is beneficial if you, your spouse or your children do not need the funds in your retirement account immediately. The strategy allows you to save your retirement funds as long as possible for future generations. Stretching your IRA funds allows your beneficiaries to benefit from continued tax-deferred growth, resulting in a substantial source of income for your heirs. A primary method to stretch your IRA dollars is to name younger family members, such as grandchildren, as beneficiaries.